At Hypfocus we aim to provide the Best Hypnotherapy Melbourne has to offer. 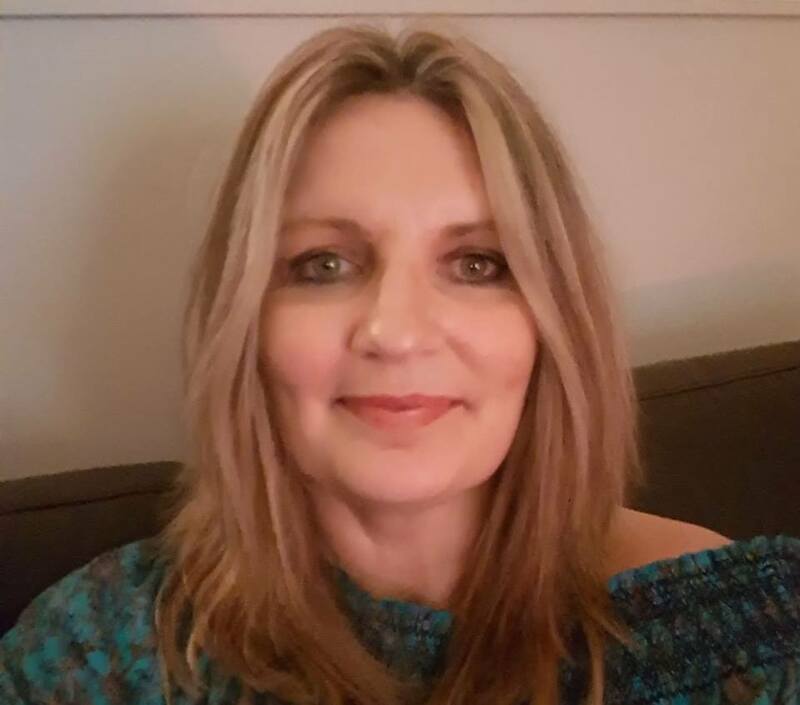 Clinical Hypnotherapist and Counsellor Georgina Mitchell is an experienced and skilled therapist who has trained and practised extensively in the past ten years and is dedicated to helping you make the change you want to make in your life. Georgina will listen to you with understanding and without judgment to help you establish your goals and then work with you to achieve them. Hypnosis combined with therapeutic techniques and suggestions helps you to resolve the issues that are keeping you stuck. You'll gain control of your thoughts, habits, feelings and behaviours as well as increase your self-esteem and resilience. Unconscious processes drive most of our daily actions; these processes often overrule our conscious efforts to make changes, e.g. to change our eating habits, stop smoking, or be more social and confident. Hypnosis enables you to make long-lasting changes by accessing your subconscious and allowing therapeutic work to take place there. ​With the guidance of a Therapist, you can resolve unresolved feelings that often re-enforce limiting beliefs and behaviours and then go on to fast-track the development of healthier and more beneficial habits, thinking styles and actions as well as building a more robust ego. Imagine Feeling Free Of Emotional Baggage And Bad Habits! Hypnotherapy helps you become unstuck. While in Hypnosis you are guided to access your internal resources to resolve whatever is getting in the way of you living the life you want to live. Often my clients are not aware of the resources they have available to them because they may have been blocked by negative life experiences and thought patterns. Hypnosis helps to remove such blocks, and this creates a remarkably positive shift in mindset for my clients. Here at Hypfocus I specialise in the treatment of Anxiety Disorders however I also help people with a wide range of issues. ​Hypnosis is a focused state of absorption during which deep insight and lasting change can be achieved. I see my clients gain new perspectives that open up a world of possibilities to them. It's one of the most rewarding aspects of my profession. Often we become stuck in an issue because we believe that the solution to our problem is not available to us. Our problem can become our identity e.g. "I am anxious" "I am depressed" "I am an addict" "I am fat" "I am not good enough" Hypnosis helps us correct this perspective so that we can separate ourselves from the issue and find ways to resolve it. If you're interested in improving your life with Hypnotherapy Call Hypfocus today on 0435 923 817 and discover fast effective accredited hypnotic therapies here in the South East suburbs of Melbourne. When making the decision to enter therapy of any kind commitment to the process is critical and so finding the right practitioner for you. Hypnotherapy is not regulated in Australia so I'm often asked for advice on choosing the best Hypnotherapist in Melbourne, here are some tips that I've written to assist with this. ​I recommend ensuring potential therapists are suitably qualified. The easiest way to do this is to check if they are a member of a registered association. To become a member each therapist has to provide evidence of qualifications, insurance and ongoing professional development. I am a member of the Australian Hypnotherapy Association and the Australian Counselling Association. If you're considering Hypnotherapy you will find that the price of Hypnotherapy in Melbourne varies greatly. To view our fee's Click here. ​I believe in transparency in pricing which is why I publish my prices. If you live in the South Eastern Suburbs of Melbourne you'll find it particularly convenient to locate my practice in Mentone. Hypfocus is located on the border of Cheltenham and Parkdale​. Just minutes from anywhere in Bayside or the City of Kingston. ​At Hypfocus my goal is to use Clinical Hypnotherapy to provide the most effective experience of Hypnosis in Melbourne in order to make the process of positive change for my clients happen in the shortest time possible. I want to see my clients achieve their goals quickly! What style of Hypnotherapy is used at Hypfocus? Having trained in Counselling and EFT as well as Hypnotherapy, I combine talking therapy and psychotherapy with Hypnosis to help you achieve deep personal insight and then use this insight to inform the Hypnosis portion of the session. During hypnosis you are guided into a deep state of focus and given suggestions designed to help you achieve the change required. In a word yes. Hypnotherapy has helped people all over the world to achieve the change they want in their lives. Hypnosis allows us to explore things more deeply and with greater insight and focus, and it does so in a way that enables the brain to update so that the change feels organic. There are a few exceptions, but for most people Hypnotherapy provides them access to their own internal tools and the therapist provides them with suggestions on how to use those tools to fix or change what they want to fix or change. Of course Hypnotherapy is not a magic wand, so as with any therapy you need to be ready for and willing to make changes. If your current lifestyle and choices are the underlying cause of your issues whether it's e.g. lack of life balance or a toxic relationship you need to be prepared to examine and commit to actual changes in your lifestyle. I do not use Hypnosis to help people ignore or block out issues e.g. stress is a symptom of a problem and pretending that the problem is not there does not make stress less damaging to the physical, emotional and psychological health of a person. Hypnosis can help people clear accumulated stress, reduce the effects of and even increase the ability to manage stress, but it does not make people impervious to the effects of stress if they are continuing to take on more stress than they can release. We all have a capacity for stress and if that continues to be exceeded continuous work needs to be done to relieve the stress until a change in lifestyle is undertaken. Is there a scientific basis for Hypnosis? Extensive research has been done into Hypnosis. This article in Time magazine outlines just some of the many studies conducted. In this article Harvard Lecturer and program coordinator Irving Kirsch says "hypnosis is a well-studied and legitimate form of adjunct treatment for conditions ranging from obesity and pain after surgery to anxiety and stress" Len Milling, a clinical psychologist and professor of psychology at the University of Hartford explains "Apart from aiding weight loss, there is substantial research evidence that hypnosis can effectively reduce physical pain" Dr David Spiegel of Stanford University says "Hypnosis can also be “very helpful” in treating stress, anxiety and PTSD, Spiegel goes on to say "Research has found hypnosis can even alter a person’s immune function in ways that offset stress and reduce susceptibility to viral infections". The first session takes the form of an in-depth consultation. The information gained helps me to understand more about you, your current issue and what you want to achieve from the therapy by working with me. Subsequent sessions are tailored to your individual needs as we work on the issue you'd like addressed. My clients usually feel considerably better after the first session, Hypnosis is about creating a psychological shift that allows light into what may have felt like a dark situation; we all know what a little light can do to the darkness. Subsequent sessions build on that shift to both embed it more deeply, to establish resilience and set up long lasting positive change. I tailor treatments for issues such as Anxiety Disorders, Weight Loss, IBS, Depression,Pain Management, Menopause Symptoms and Addiction which often require multiple sessions, this is because in order to deal with these issues effectively it is not realistic to only commit to 2 or 3 sessions. In Melbourne Hypnotherapy or Hypnosis is becoming more accepted every year, just as it has in the USA and Europe where Medical Hypnosis is widely used to treat a broad range of issues including IBS, Chronic Pain, as an alternative to anesthetic during Dental or Medical Surgery for people that are allergic to Anesthesia. If you've been searching using the term Hypnotherapy or Anxiety Counselling near me rest assured we can help you no matter where you're located, we offer online therapy via Skype or Zoom for clients that can't make it to our consulting room. In addition to the modalities of Hypnotherapy, Counselling, NLP and EFT, I'm also a Theta Healing Practitioner . Theata healing uses a meditative approach to tap into the energy of belief. Some Private Health Insurance companies provide rebates for Hypnotherapy Services for a list of participating funds click here. Always contact your private health insurance provider first to confirm that hypnotherapy is covered. The process is that you pay the fee in full at the time of service and then claim back your rebate from your insurer (Hypnotherapists do not have Hicaps). Read how former Spice Girl Geri Halliwell, singer Lily Allen and actress Olivia Munn use Hypnosis to help them lose weight, motivate them to exercise and to overcome issues such as OCD and trichotillomania at this link. If you would like to request further information please use the form provided above and include details of your enquiry or call us on 0435 923 817. We are listed in the Natural Therapy Pages.